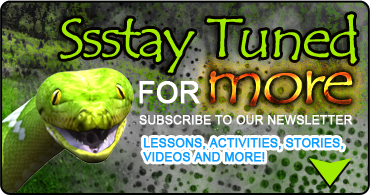 Lessons, Activities, Worksheets and More! Learn about the importance of Fort Laramie and how it saved many a pioneer! Become an Adventurer and Gain Access to Exclusive Material! Learn about the amazing journey known as the Oregon Trail. Teach History and Geography using our valuable lessons, curriculum and educational resources designed for all ages! Corrections? Updates? Help us improve our site. Contact our support team with your feedback. Surviving The Oregon Trail provides educational resources: printable worksheets, coloring pages, streaming videos, e-books and more! Become a Member / Join Our "Wagon Train" Today! Our goal at Surviving The Oregon Trail is to provide helpful resources to benefit home school families, teachers and students in the areas of reading, writing, vocabulary, art, history, geography, homesteading, emergency awareness and preparedness and last but certainly not least community! We desire not only to educate but also to build a community of friends and family to help encourage and inspire one another! We hope you will become a member of our growing community and share the things you learn with us and our visitors! We'd love to have you aboard our wagon train! © 2018 Surviving the Oregon Trail. All Rights Reserved.